Dau Tieng Dist., Binh Doung Prov., South Vietnam – March 17, 1969: Moving in on the enemy. My father was a World War II hero. He served in Company K, 3rd Battalion, 105th Infantry Regiment, 27th Infantry Division and saw action on Makin Island (Butaritari) in the Gilbert Islands just north of Tarawa and especially on Saipan in the Marianas. It was on Saipan that he was awarded the Combat Infantryman Badge (Bronze Star). As the story goes he was the lone survivor from his unit of the largest banzai charge of World War II, July 7, 1944. Known simply as The Raid or Sake Raid by the few American soldiers that survived, the American lines were attacked by 5,000 Japanese and Korean forced laborers. This could have been a scene from an Akira Kurosawa movie like Kagemusha (1980) except that this was for real. The Japanese attackers came with flags emblazoned with dragons attached to their backs and singing because they knew that they were going to their deaths. My father’s position was overrun. The fighting was hand-to-hand as the Americans ran out of ammunition. When it was all over the enemy body count was 1,697 in front of and within my father’s position. Only 15 men from the original Company K survived the war my father among them. Whatever he became in later life I cannot say that he was not hero. 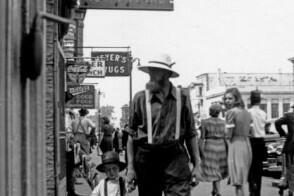 I’d like to think that part of him is going be with me all the days of my life.In 1942 my father trained at the Ranger Training Facility a/k/a the Jungle Warfare School under LTC. Henry Mucci at Fort Shafter on Oahu, Hawaii. It was Mucci who led the 6th Ranger Battalion in the raid on the allied POW camp at Cabanatuan in the Philippines. The movie “The Great Raid” starring Benjamin Bratt as LTC. Mucci portrays this event. 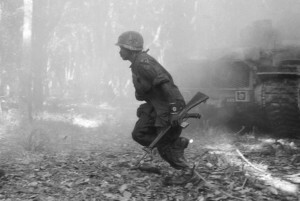 The graduates of the Jungle Warfare School were to see combat as Merrill’s Marauders in Burma, the 6th Ranger Battalion in the southwest Pacific and as the 2nd Ranger Battalion at Normandy and throughout the European Theater. My father was simply sent back to his unit with the 27th Infantry Division as these Ranger battalions had not yet been organized in 1942. 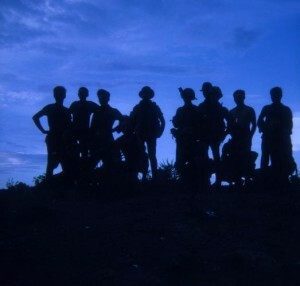 Vietnam – June 15, 1970: Group portrait. One of my childhood role models was Winston Churchill. For my 16th birthday I asked for and received from my mother a framed portrait of Churchill that I had desired. She thought that it was a strange birthday request but it made me so happy. Walter Cronkite was also a role model for me. The most trusted man in America. When he turned against the Vietnam War, Lyndon Johnson said that if he lost Cronkite then the war was unwinnable. Johnson announced shortly thereafter that he would not seek a second term. He lost Cronkite and so did I. I was a hawk on the war. My last childhood role model was Mickey Mantle. I even taught myself to switch hit and take a batting stance like “The Mick”. One can only imagine what his talents would bring on the free agent market today. In the current era it is no longer a question of role models for me, rather it is who do you trust? Far and few between, but if you pin me down I would have to say Charles Krauthammer, syndicated columnist and Fox news analyst, and John Bolton, former U. N. Ambassador. I think that these men get it right more than anyone else. I find myself agreeing with their arguments without much of a problem. I think that trust and respect are two sides of the same coin. If I do not respect someone then I cannot trust him. I meet many veterans nowadays as I am an Army veteran of Korea during the Vietnam War. I recently met an older veteran who told me I was the only one who he could trust. By that he meant only veterans. Deeds are more important than words. Words can be cheap. 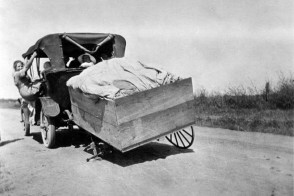 When you lead from the front and not blame others for your failings you gain respect and trust. 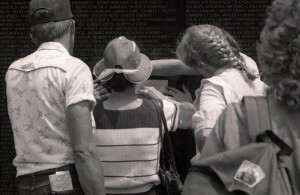 Washington, D. C. – June 8, 1985: Relative tracing the name of a fallen soldier. Vietnam Wall, Washington, D. C.
The lead photo for this blog, “Vietnam Vets”, was taken by me on May 7, 1985 at Cadman Plaza in Brooklyn, N. Y. That is Pete Bonacchi on the right, the one with the Silver Star and Purple Heart. He was my friend. Pete served in the Brown Water Navy on the Mekong River in South Vietnam. 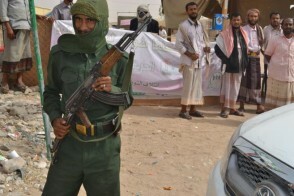 An RPG (rocket propelled grenade) fired from shore took off one of his legs below the knee. 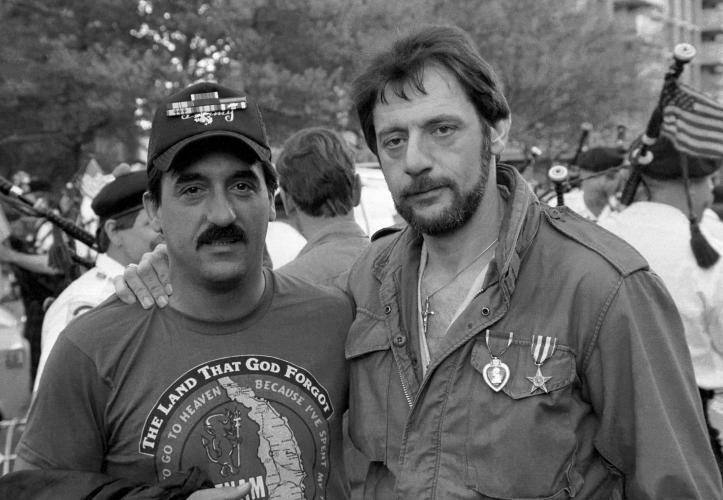 Pete asked me to march with him and fellow Vietnam veterans in the Welcome Home Parade on May 7, 1985 across the Brooklyn Bridge and down Broadway to the Battery. I told him that I served in Korea and that this was not my place, but he convinced me to make the march. How often in life do you get an opportunity to be in a ticker tape parade down the Canyon of Heroes? Pete was married with a young son. Some years ago Pete was diagnosed with cancer caused by Agent Orange and died shortly thereafter. He is buried in Arlington National Cemetery. 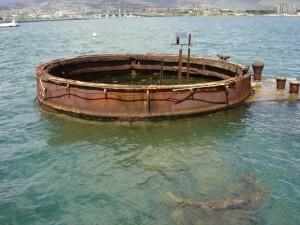 Pearl Harbor, Hawaii – August 12, 2007: Gun turret number three of the USS Arizona at Pearl Harbor, Hawaii. You can still smell the oil seeping from the ship.